Competition is the backbone of business in this country. It forces companies to hire and train quality employees and to develop unique processes that provide an edge over the competition. All too often, however, employees use their employers to extract information and training so that they can start their own business and compete. This article shares highly effective ways to avoid getting burned by employees leaving and competing against one’s business. While businesses can never fully prevent employees from leaving and competing, they can make it very difficult and costly to unfairly compete. A recent survey by CareerBuilder found that thirty percent of workers reported that they regularly search for job opportunities even though they’re currently employed. What makes an employee look for another job? A previous CareerBuilder survey found that 66% percent of discontent employees cited concerns over salary and 65% said they don’t feel valued. Others who are likely to leave their job: workers who are dissatisfied with advancement opportunities at current company (45%), workers who are dissatisfied with their work/life balance (39%), workers who feel underemployed (39%), workers who are highly stressed (39%), workers who have a poor opinion of their boss’s performance (37%), workers who feel they were overlooked for a promotion (36%); workers who have been with their company two years or less (35%), and workers who didn’t receive a pay increase in 2013 (28%). The data provides a simple lesson for employers: to keep employees from leaving and competing against one’s business, value them and pay them well. Even the best employers — who treat and pay their employees well — lose employees who go on to compete against them. In Arizona, employers can effectively delay and deter that competition by having employees sign non-compete and non-solicitation agreements at the outset of employment. Here is an article I wrote on the benefits of a good non-compete and non-solicitation agreement, versus the considerable and unnecessary downside of not having one. The law protects those who protect their confidential and proprietary information. Therefore, both your company handbook and non-compete/non-solicitation agreement should contain specific and detailed language prohibiting the improper use or dissemination of the company’s confidential and proprietary information. Monitoring computers and other devices is an effective way to (1) discourage employee theft and goofing off and (2) uncover theft or other misconduct as it is occurring and/or after it has happened. Employee monitoring thus reduces the chance for unfair competition and, if it occurs, makes it easier to establish the misconduct. Computer forensics experts can determine if an employee connected a device such as a removable USB storage device or if a CD was created which contained confidential data. A true expert can even identify the make, model and serial number of the removable storage device, when it was first connected and the last time it was used. The expert can also identify which data was deleted and often times can even recover the information. Printing a document also leaves a trail which can be uncovered and can provide key information about the theft itself. Frequently, websites visited by an employee will bring context to the theft or even constitute direct evidence. Note: employees should be informed at the outset of employment, or at the outset of monitoring, that monitoring may occur to, among other things: ensure the security of company information, prevent theft, and enhance productivity. Failing to advise employees that monitoring may occur may give rise to civil or criminal wiretapping or other claims. Cell phones travel everywhere with your employees. Because of this, they are sometimes used for the wrong reasons — when employees secretly take steps to leave and compete against their employer. If your company issues cell phones to employee, it may monitor them (again, after proper notice). Because cell phones are the “preferred” device for employees to use when starting to compete, issuing phones that one can monitor during employment and inspect upon the employee’s departure is an effective way to deter and uncover misconduct. iPhones, Blackberries (has anyone seen a Blackberry lately? ), and Android phones contain information which can provide significant insight on what an employee is doing or was doing leading up to the theft of data. For example, a forensics investigation of an Apple iPhone will generally result in the recovery of 50,000 – 60,000 files, most of which the employee never realized existed or thought they had deleted. For the iPhone, the files recovered include all voicemails that were ever left on the phone, all emails ever sent or received, and data users often believe is deleted but can be recovered – including text messages, contacts, call logs and pictures. The blending of modern smart phones with GPS technology can also pinpoint a departing employee’s location at a particular date and time. Conversely, if your company does not issue cell phones it will be very difficult to determine how the phone is being used during work time. Also, when the employee leaves the employee will retain the cell phone and the information in the cell phone. Equally bad, your customers and other employees will easily know how to contact your ex-employee — whose telephone number will stay the same. In conclusion, carefully consider how cell phones can be used by your employees, whether they should be monitored, and how they will be treated upon the employee’s departure. It should be standard operating procedure to have your IT department properly secure all computers and other data storage devices (cell phones, etc.) that may be necessary to assist in any subsequent investigation. The IT department should store in a secure area any computer or electronic information storage device before anyone attempts to search or access data on the device. Computer forensic experts can copy, evaluate, and mine data from hard drives and other electronic devices assigned to former employees where there exists a belief the employee may have engaged in misconduct. If a computer is immediately taken out of service, most computer forensic evaluations will permit the recovery of files and emails that have been deleted from even the computer’s recycle bin. Also, the internet access history of a computer may potentially result in a wealth of information that can be used in any subsequent proceeding. As stated above, a forensic investigation can further determine if any external device was installed on the computer and, if so, what documents and information may have been down loaded and when. If you suspect or uncover misconduct, follow any evidence to its logical endpoint. This can mean, for example, that you interview other employees identified in any communications or that were close to the ex-employee; it may mean that you reach out to customers serviced by the ex-employee to ensure they are happy with your company’s services and that their business has not been co-opted; or, it may mean that you go to third parties (e.g. Verizon or Sprint) for cell phone data. 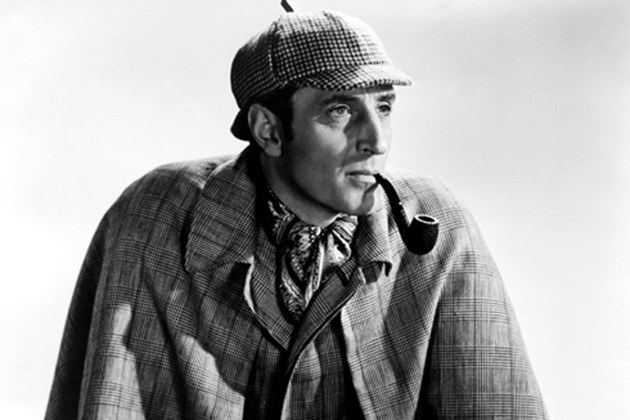 A disloyal employee should bring out the Sherlock Holmes in your business. As in many mysteries, the evidence is often hidden in plain site. Consult with legal counsel immediately if there is a reasonable chance that an employee or ex-employee could inflict lasting harm on your company. Experienced employment counsel should be able to quickly determine the enforceability of your non-compete and other agreements. Counsel can also determine whether the wrongdoer has violated any statutes (e.g. the Uniform Trade Secrets Act) or whether your company has any common law claims (e.g. breach of the duty of loyalty; conversion). Further, legal counsel can provide a company with a plan of attack, including how to gather evidence to support your claims and damages — should a lawsuit be necessary. A demand letter is typically a letter from the company’s attorney setting forth the misconduct and demanding that it cease and that the ex-employee pay any damages that have been caused by the alleged misconduct. It is almost always prudent to send a demand letter before filing a lawsuit. First, the demand letter may cause the ex-employee to stop the misconduct, rendering a lawsuit unnecessary. Second, judges like it when parties try to resolve disputes short of a lawsuit. Demand letters should be carefully drafted. Among other things, demand letters set the tone for the dispute, reveal the party’s level of sophistication, and can be used against the drafter if there are any admissions or omissions. Finally, consider whether to send a copy of the demand letter to the ex-employee’s new employer (unless the employee started the employee’s own business), or whether to send a separate demand letter to the new employer in which the new employer is itself implicated in the misconduct. This is a huge decision: on one hand it may be prudent to put all potential wrongdoers on notice, yet on the other your business may be cultivating a new enemy and a two-front war. What will it cost in lost business and/or employees to allow the misconduct to continue? Will inaction send a signal to other employees and competitors that the company is a pushover — thereby encouraging others to engage in similar misconduct? What are the odds of prevailing in court and what will it cost? Should the lawsuit include the ex-employee’s new company? Might the ex-employee file a counterclaim alleging damages (e.g. for unpaid wages, breach of contract, and/or discrimination)? The answers to these and other carefully considered questions allow a company to intelligently go forward — accepting the consequences of its reasoned decision. There are various reasons that compel employees to leave their companies and compete. Unfortunately, there are many schemes that less than scrupulous employees devise to unfairly compete — including helping themselves to customer lists, downloading proprietary processes, and pirating employees and customers. Follow this article and reduce the chances your company will be burned by one of its own. If you have any questions regarding protecting your business from unfair competition or employee misconduct, please contact Art Bourque of Bourque Law Firm.